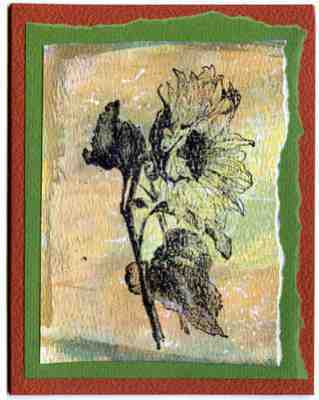 This technique is an adaptation of one created by Karyn Gartel. 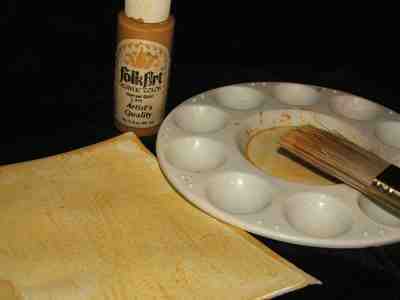 Paint a piece of watercolor paper with Gesso. Allow to air dry or speed up the drying with a heat gun. Water down a small amount of the acrylic paint and paint over the canvas. Allow to dry or heat with the heat gun. 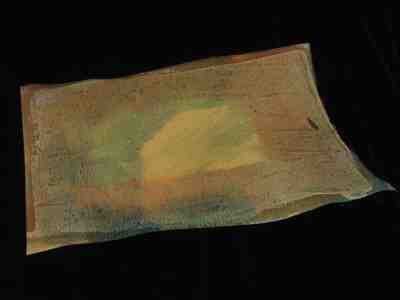 Using a second color of paint that has been watered down, paint the edges of the piece of paper. 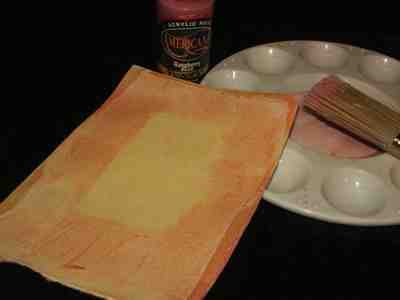 Using the last acrylic paint (try to use a darker shade for last) paint over the entire canvas and spritz with the water. 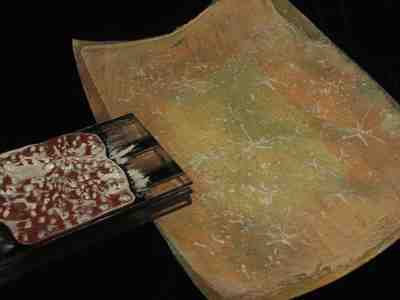 Using a pattern stamp, paint Gesso on the rubber stamp then stamp on areas of the paper. 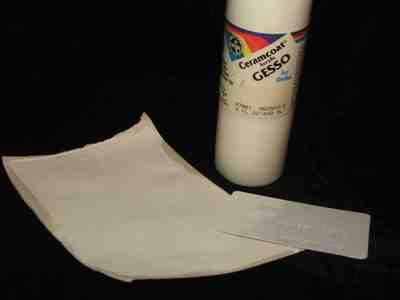 (Be sure to clean Gesso off your rubber stamp immediately). 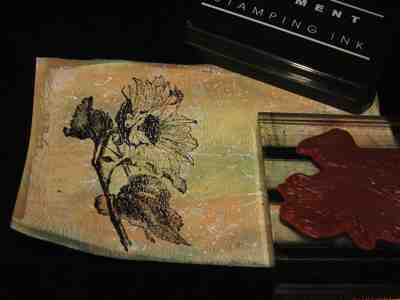 After this dries, stamp another image using a permanent black inkpad.